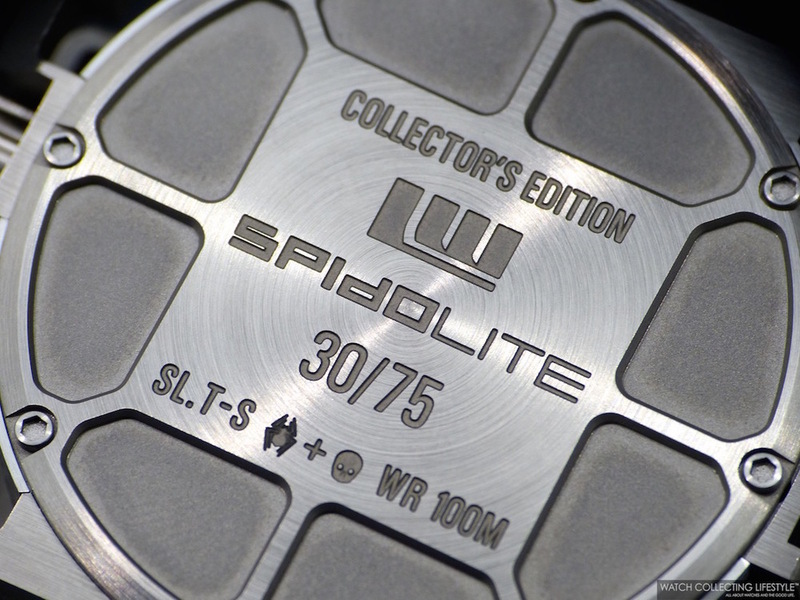 The SpidoLite Gold and the SpidoLite Titanium, the fourth generation of the SpidoLite family, mark an evolution in weight-optimized construction and reveals the first ever Linde Werdelin power reserve indicator. The SpidoLite family was born from an expedition to Mount Everest and has pursued a simple goal, to save weight without compromising on strength, integrity or performance. 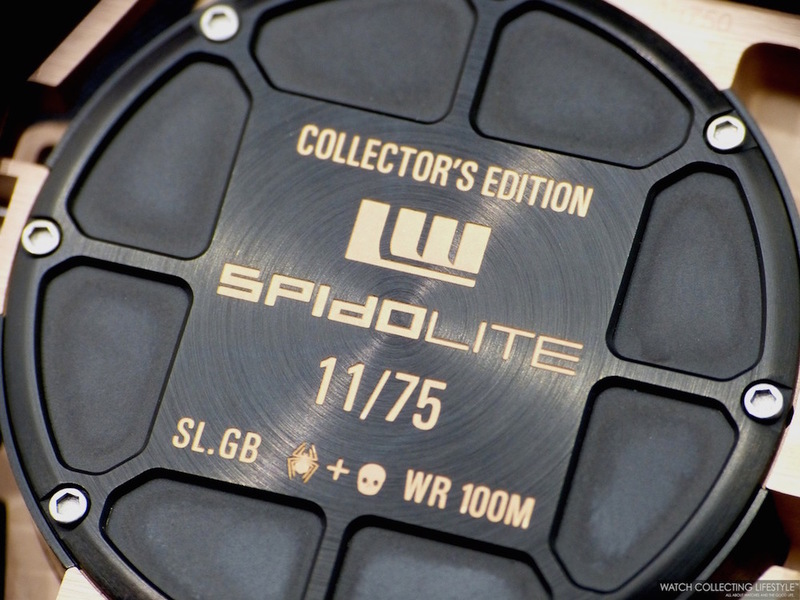 Holistically conceived and engineered, this SpidoLite is the most extreme skeleton to date and the SpidoLite Gold challenges the assumption that a heavy precious metal cannot produce an incredibly agile sports timepiece. 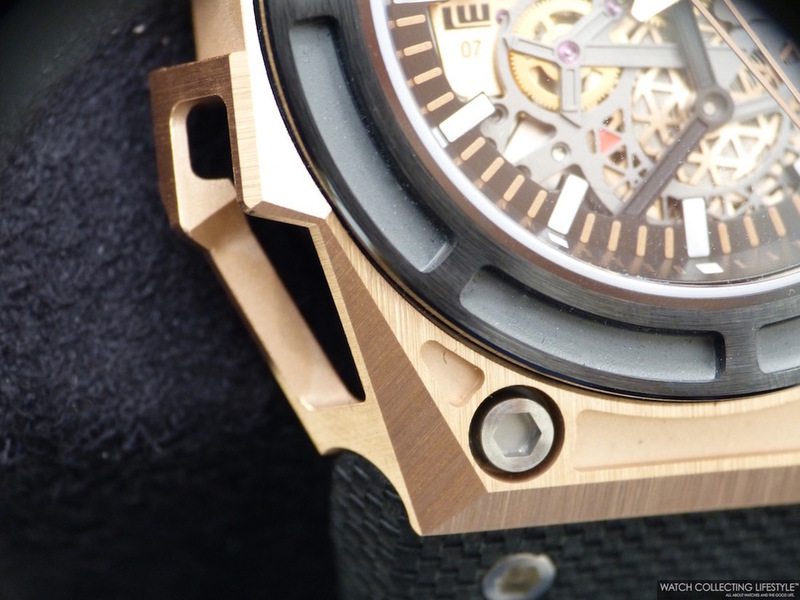 Both watches are fitted with the SpidoLite case measuring 44 mm in diameter and while the SpidoLite Gold is made of 5N 18K rose gold, the SpidoLite Titanium is made of Titanium one is made of Titanium grade 5. 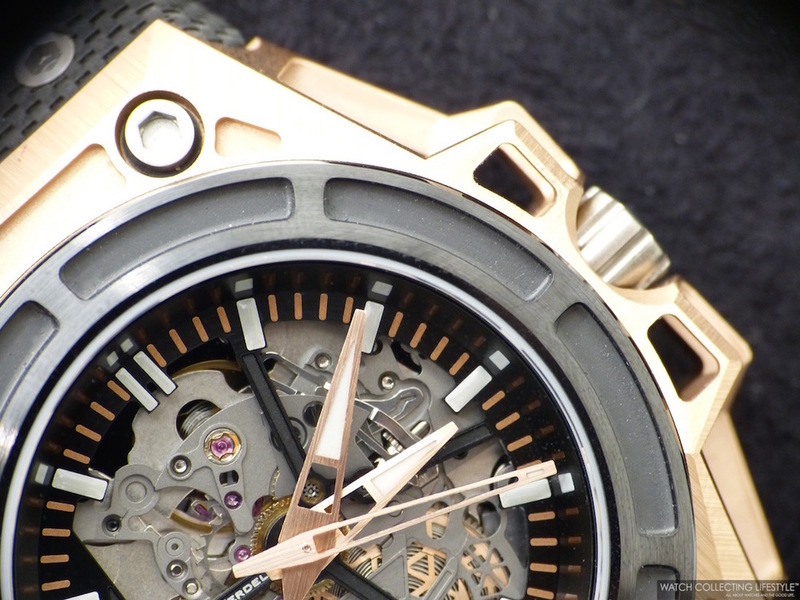 Both watches sport titanium crowns engraved with a spider icon and solid case backs made out of titanium. While the SpidoLite Gold features a grooved bezel made of black ceramic, the SpidoLite Titanium's bezel is made of titanium. 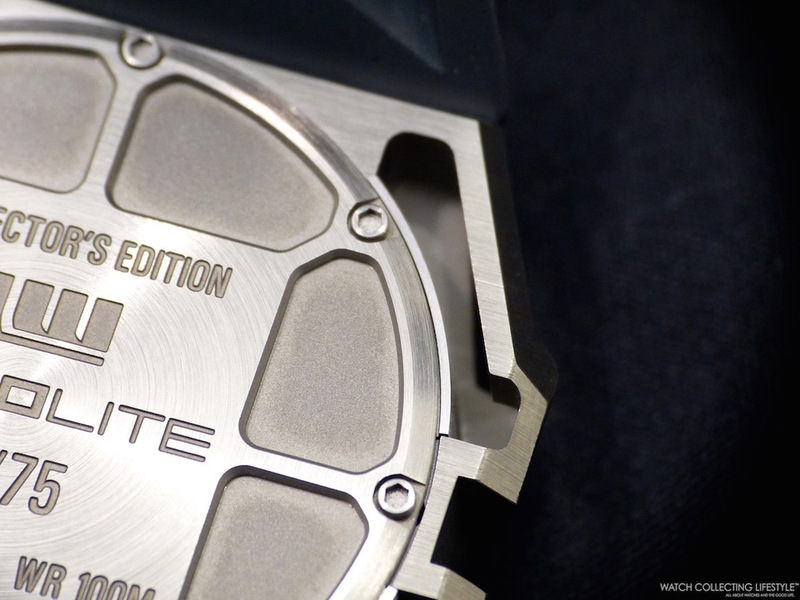 To protect the beating heart inside these timepieces —the calibre LW07 with 42-hour power reserve, still not an in-house movement—, both watches feature case back with eight hex key titanium screws and laser engraved limited edition information as well as LW and SpidoLite logos. 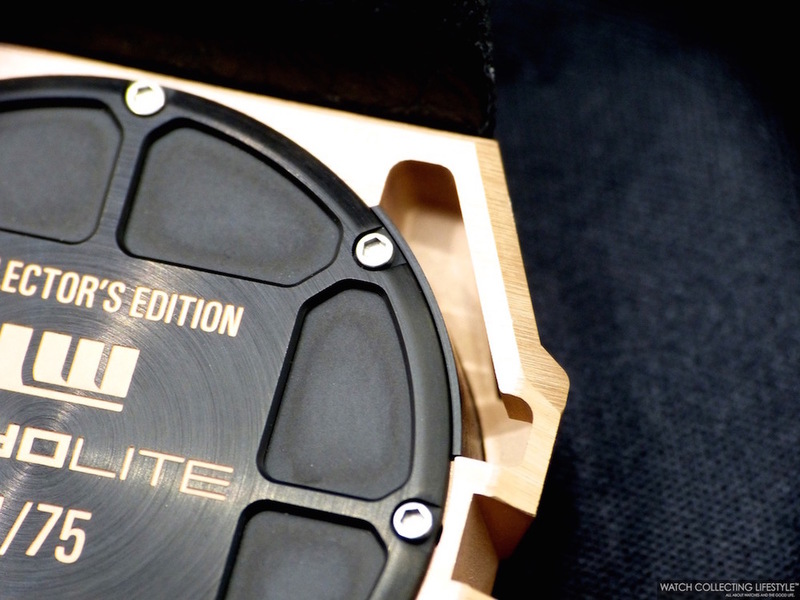 In the case of the SpidoLite Gold, the engravings are filled with 5N rose gold. On the wrist, both watches wear true to their size but not as comfortable as you would expect due to the sharp angles on the outer case construction. While the SpidoLite Gold features a textured calfskin strap with titanium pin buckle, the SpidoLite Titanium comes fitted with a grey rubber strap with pin buckle. Two great looking timepieces for sure. Sticker Price CHF27,000 Ex VAT for rose gold model and CHF15,000 ex VAT for titanium. 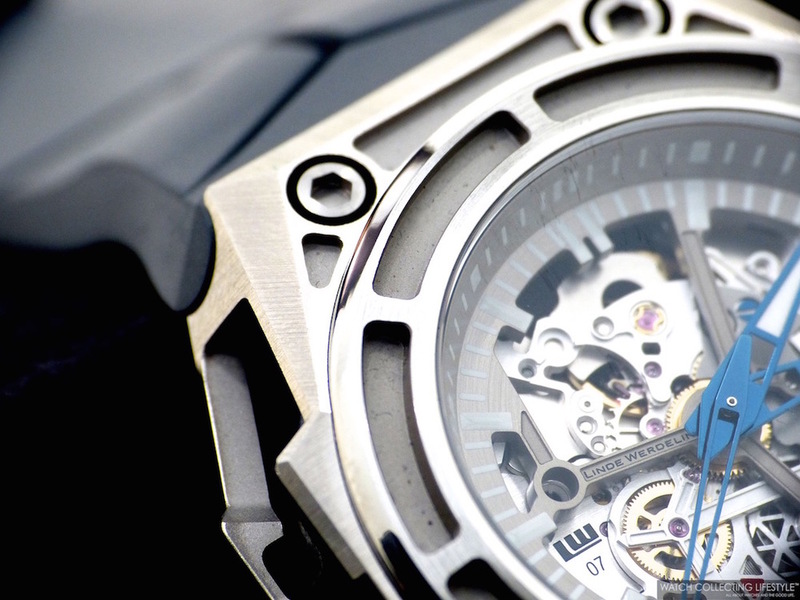 For more info on Linde Werdelin click here.